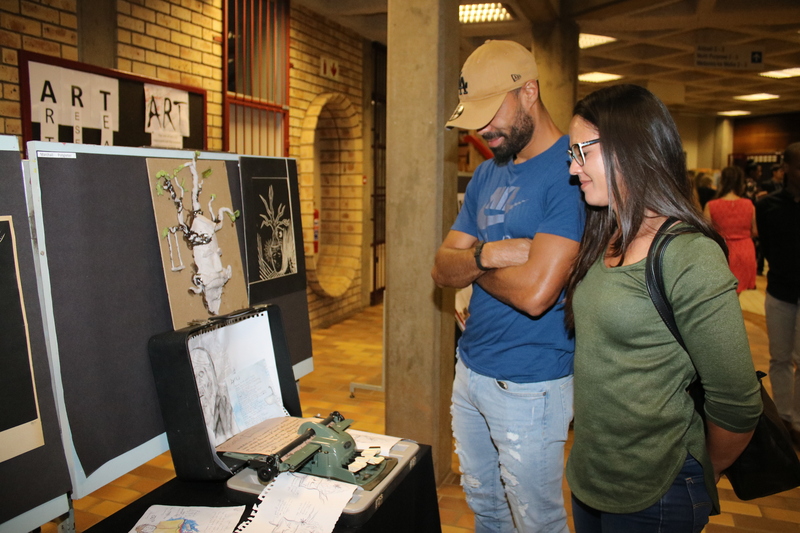 I shut my eyes in order to see was the theme of this year annual art exhibition held on the 24 October by the Department of Humanities education art students at the Faculty of Education. 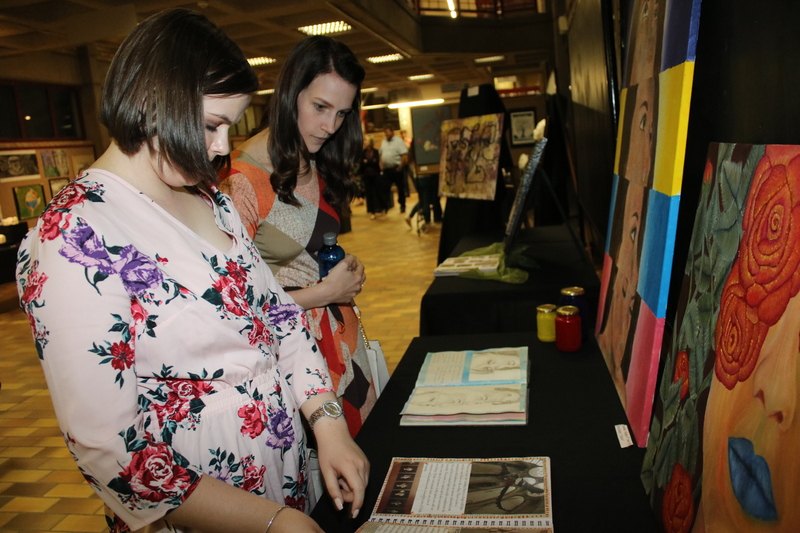 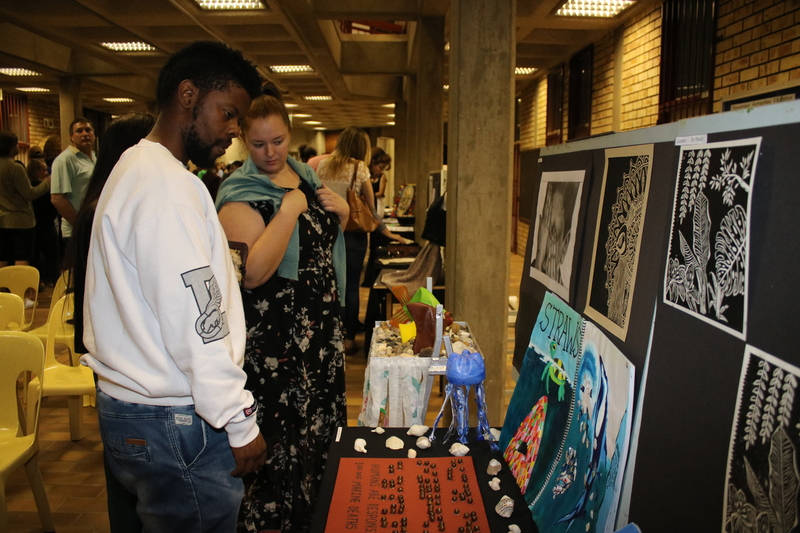 The exhibition featured art works by FET, Senior, Intermediate and Foundation Phase art students from the Department of Humanities Education. 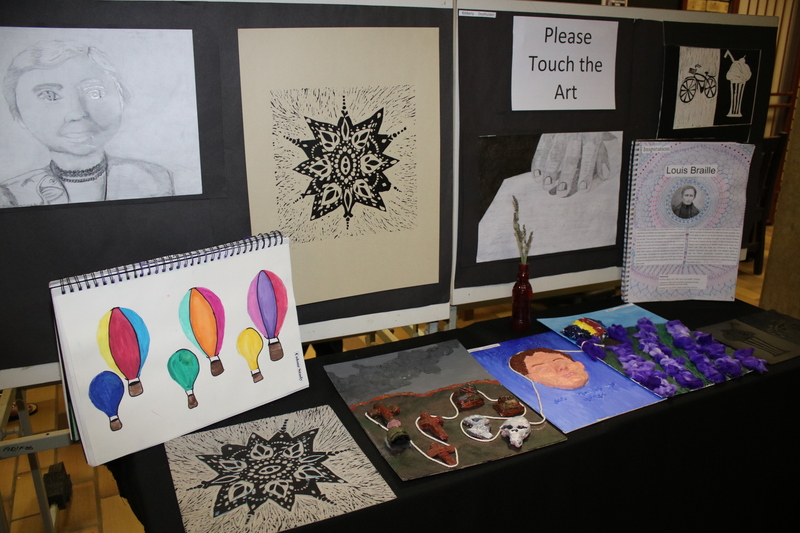 Art students challenged the notion of aesthetic appreciation by creating artworks that can be experienced through our senses. 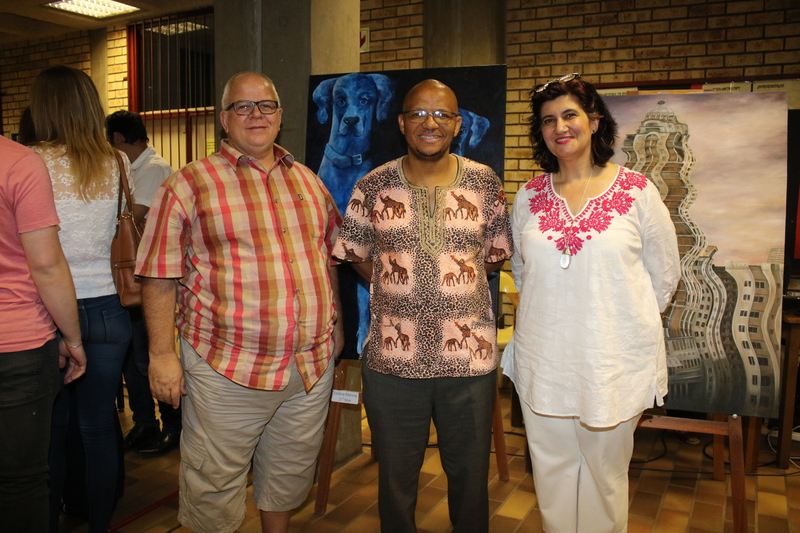 The artworks also dealt with themes of blind and blind awareness. 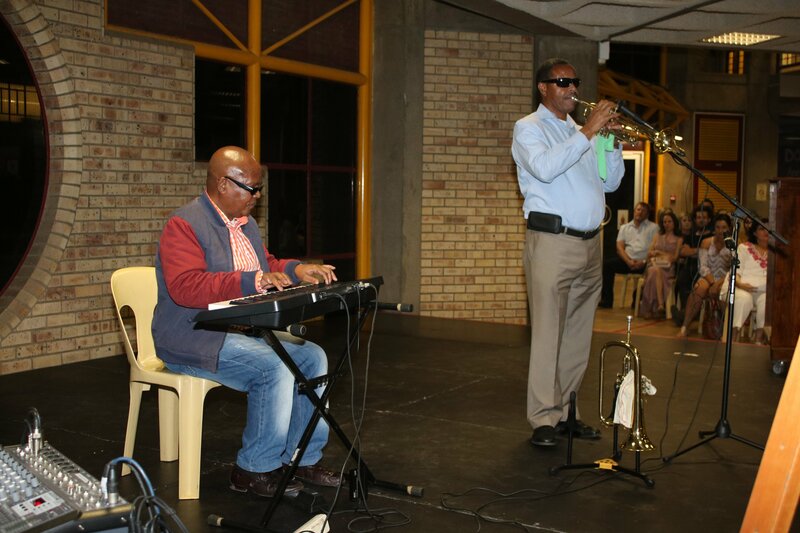 The audience was also entertained by the performance of a blind jazz music band, 2 of a kind plus.